What cannot be done today will surely be done later on. No effort for progress has ever been made in vain. A beautiful tomorrow, a happier world, a dynamic application of spirituality to material life and all its activities, human unity in diversity. Sri Aurobindo Society is a global, not-for-profit NGO. Let us come together to create the Next Future! "... the manifestation of the divine in himself and the realisation of God within and without are the highest and most legitimate aim possible to man upon earth." 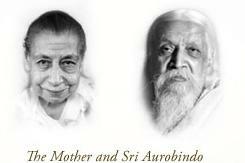 Answers to questions on life from the writings of two great spiritual masters of our times - Sri Aurobindo and the Mother . . .
We are often confronted with a problem or a situation where we do not know what to do. Here is a way to find the help and guidance within . . .
Sri Aurobindo Society is an association, a movement, an invitation and an opportunity to connect and then surpass oneself, to realize one’s unity with others and integration with the entire creation, to work for a happier world, to participate in the collaborative effort, and to create the Next Future. You are welcome to join us in this effort—Let us be the change! Let us make a difference! Come be a volunteer, member and a contributor in our work!